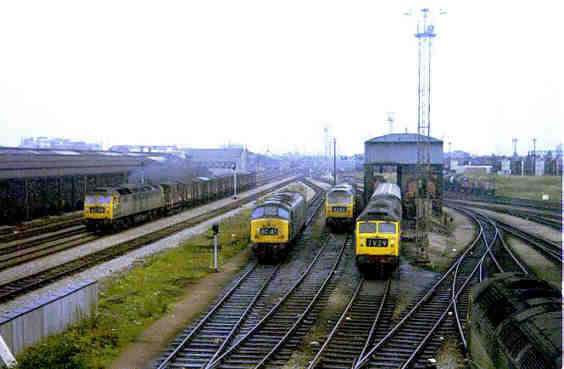 The Western Region had some diesel electrics fairly early on, including Classes 37 and 47, the hydraulics only having a monopoly in the South West. 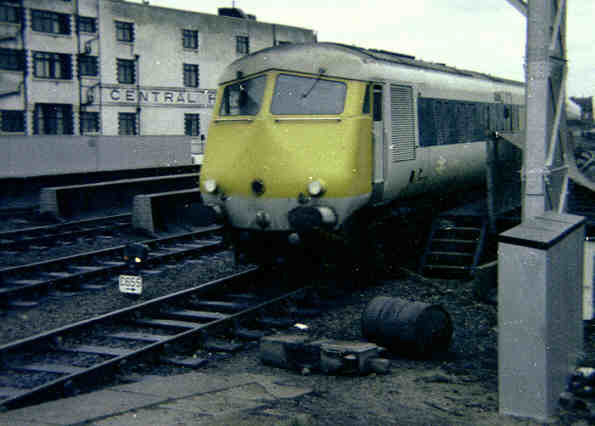 But gradually the non standard hydraulics were replaced by diesel electrics from other regions from the end of the 60's, the hydraulics were all replaced by 1977. 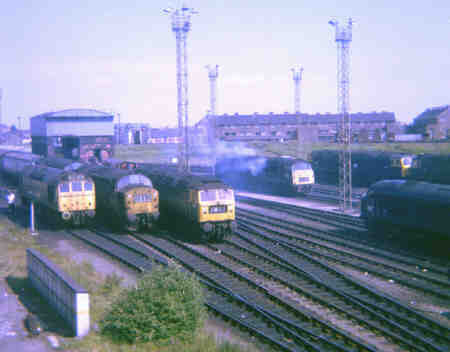 The classes brought in were Class 31's from the Eastern Region, class 25's from the London Midland, Class 46's from the Eastern and the redistribution of locos and their duties involving Classes 37, 45, 46 and 47 followed by the move of the whole of Class 50 from the Crewe - Glasgow route following its electrification, and finally the Inter City 125's arrived to complete the process. 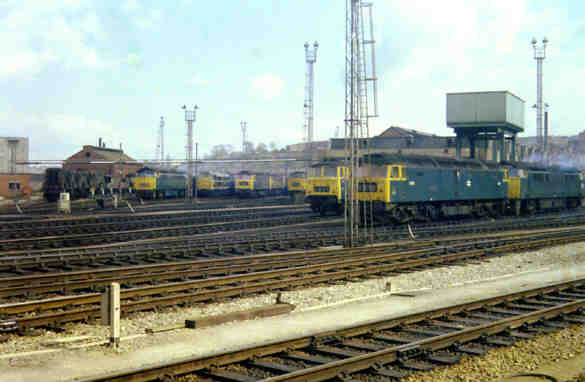 To start with, three photos of a selection of locos both hydraulics and electrics at Bath Road (left) and Cardiff Canton (centre and right). One other type of diesel electric that was new to the Western Region was the "Blue Pullman" sets, one of which is seen here arriving at Cardiff in their later silver grey and blue livery. 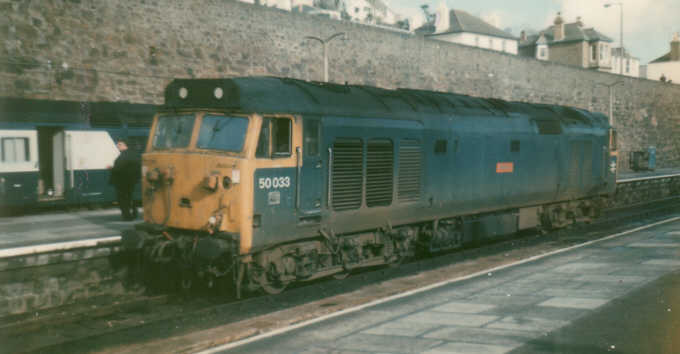 Class 50 50033 at Penzance with its successor alongside, an HST. Photo by Glen.